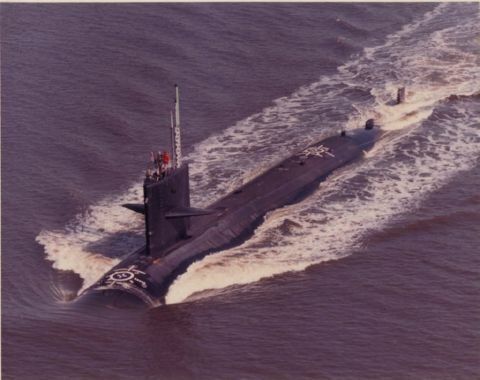 The second Sea Devil (SSN-664) was laid down on 12 April 1966 by the Newport News Shipbuilding and Dry Dock Co., Newport News, Va.; launched on 5 October 1967; sponsored by Mrs. Ignatius J. Galantin; and commissioned on 3 January 1969, Lt. Comdr. Richard A. Currier in command. Assigned to Submarine Division 62 at Norfolk, Sea Devil has, into 1975, conducted exercises and participated in operations which enhance her capabilities in her primary mission, antisubmarine warfare.